For many in the more traditional Protestant communities, believing Mary to be the Theotokos (Gr.—God-bearer), or Mother of God, is an area of agreement with Catholics. They may not see all of the theological implications of this dogma, but they believe it as such. 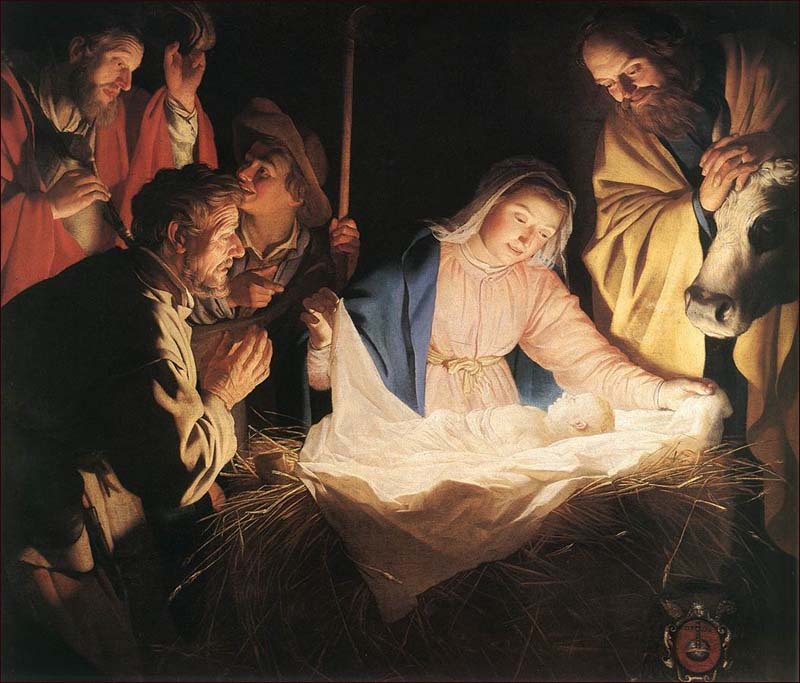 They would acknowledge Mary to be the Mother of God as the logical result of their faith in Jesus as one divine person. 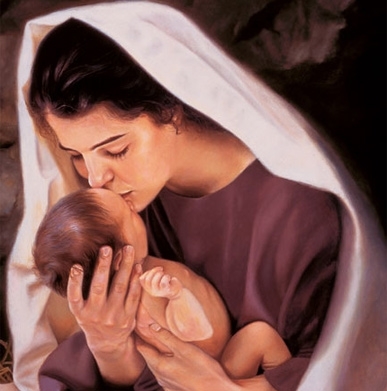 If Jesus Christ is truly God, then Mary is truly the Mother of God. 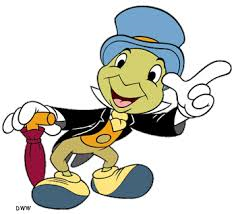 But for millions among Fundamentalist and Evangelical communities, it is a different story. Let’s just say they would not join in on January 1st when we Catholics celebrate the Solemnity of Mary, the Mother of God. Objection One: Where is That in the Bible? To say Mary cannot be the Mother of God because sacred Scripture does not use those explicit words places the Protestant in a very uncomfortable position. He would also have to conclude multiple essential Christian doctrines to be erroneous because they are not found verbatim in the Bible either. Let’s just take the Trinity for example. This is “the central mystery of the Christian faith” (CCC 234), and yet the term “Trinity” is not found in the Bible. This is not to mention terms like homoousios (Gr.—same nature, Jesus has the “same nature” as his Father), hypostatic union, the circumincessions of the persons of the Blessed Trinity, etc. The question the Protestant really needs to ask is: Is the concept of Mary, Mother of God revealed to us in Sacred Scripture? And we will see that it is. Thus, this first point is quite easily dismissed. Yet to us there is one God, the Father, from whom are all things, and for whom we exist, and one Lord, Jesus Christ, through whom are all things and through whom we exist. Notice two key points: Jesus is called both the one Lord and he is called creator of all things. There can be no doubt in this context that our Lord’s divinity is being referenced. Every Jew knew the truth of the great Sh’ma of Deut. 6:4: “Hear, O Israel: The LORD our God is one LORD.” There is only one Lord in Israel. And according to our text quoted from I Corinthians, Jesus is that one Lord. Moreover, Jesus is called the creator of all things. Genesis 1:1 cannot make it any clearer that it is almighty God who is the creator of all things. “In the beginning God created the heavens and the earth.” The title kurios applied to Christ as creator of all things in I Corinthians 8:6 is clearly a title of divinity for Christ. It is the context that makes this ever so apparent. When Elizabeth “exclaimed with a loud cry… Why is this granted me, that the mother of my Lord should come to me” (Luke 1:42-43), Mary was revealed to be the New Testament Ark of the Covenant. The question is: Was the ark of the Covenant in the Old Testament the ark of an earthly potentate, or was it the ark of almighty God? The answer is obvious. In the same way, the more glorious New Covenant Ark of the Covenant is not an ark of an earthly potentate, but it is the Ark of Almighty God. Called in the Gospels “the mother of Jesus,” Mary is acclaimed by Elizabeth, at the prompting of the Spirit and even before the birth of her son, as “the mother of my Lord.” In fact, the One whom she conceived as man by the Holy Spirit, who truly became her Son according to the flesh, was none other than the Father’s eternal Son, the second person of the Holy Trinity. 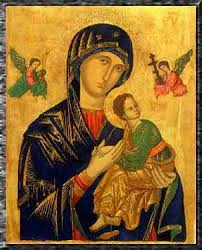 Hence the Church confesses that Mary is truly “Mother of God” (Theotokos). 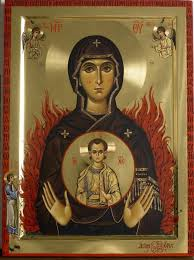 If anyone does not confess that God is truly Emmanuel, and that on this account the Holy Virgin is the Mother of God (for according to the flesh she gave birth to the Word of God become flesh by birth), let him be anathema. The real problem with denying Mary as Mother of God and affirming Mary to be only the mother of the man Christ Jesus is in doing so one invariably either denies the divinity of Christ (as the 4th century Arians did), or one creates two persons with regard to Jesus Christ. Either error results in heresy. The Ecumenical Councils of Nicaea (AD 325) and Constantinople (AD 381) dealt decisively with the Arian heresy. The Council of Ephesus (AD 431) as mentioned above dealt with this latter heresy as it was being taught by the followers of Patriarch Nestorius of Constantinople. Rather than teaching the truth that Christ is one divine person with two natures—one human, and one divine—hypostatically unified, or joined together without admixture in the one divine person of Christ, they were teaching Christ to be two persons with a mere moral union. The Council fathers understood this could never be affirmed by Christians. The Bible declares to us: “… in him the whole fullness of deity dwells bodily” (Colossians 2:9). And, “… in him all things were created, in heaven and on earth, visible and invisible…” (Colossians 1:16) No where do we read in them; we only read of him. One cannot overstate the importance of what we are discussing here because we are ultimately talking about essentially different Christs. Jesus is truly one divine person. If one prays to a Jesus who is two persons, one prays to a “Jesus” who does not exist! “If God is Trinity, and Mary is the Mother of God, would that not mean Mary is the Mother of the Trinity?” Actually, it does not. Paragraph 495 of the Catechism, quoted above, was very clear that Mary is the mother of the second person of the Blessed Trinity because neither the Father nor the Holy Spirit were incarnate. Simple enough. But I am going to suggest the problem here to be deeper than just a confusion of persons within the Godhead. 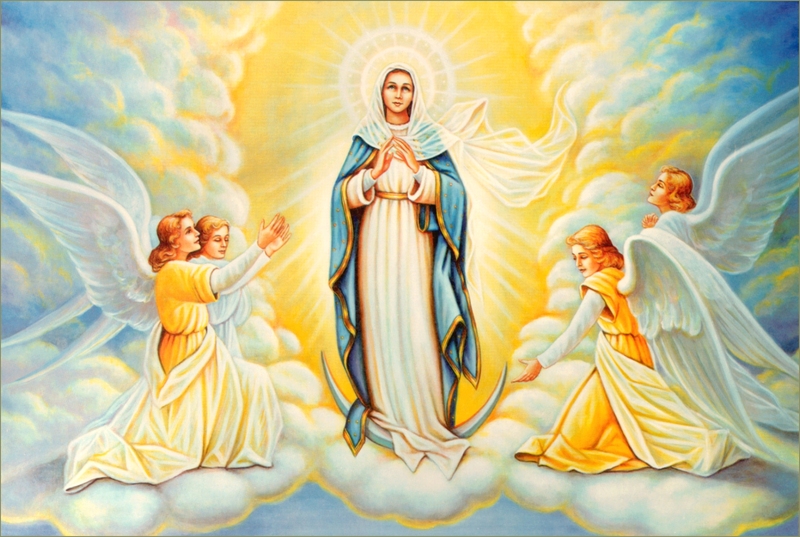 In my experience, this simple explanation almost invariably leads to another question that reveals the real problem in the mind of many Fundamentalists: “Even if Mary is only the Mother of the second person of the Blessed Trinity, he is just as eternal as the other two divine persons. Thus, in order to be his mother, Mary would still have to be equally as eternal.” The root of the Quadrinity problem is really a false understanding of what is meant by Mary’s true motherhood and perhaps a false understanding of what is meant by motherhood in general. By saying Mary is the Mother of God, the Catholic Church is not saying that Mary is the source of the divine nature among the three persons of the Blessed Trinity, nor is she the source of the divine nature of the second person of the Blessed Trinity. 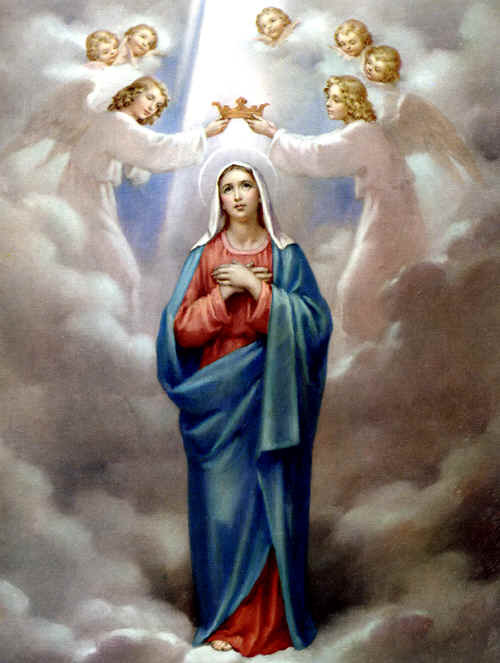 But then again, she doesn’t have to be in order to be the mother of the second person of the Blessed Trinity incarnate. Perhaps an analogy using normal human reproduction will help clarify the Catholic and biblical truth of the matter. My wife is the mother of my son, Timmy. But this in no way implies that she is the source of Timmy’s immortal soul. God directly and immediately created his soul as he does with every human being (see Eccl. 12:7). However, we do not conclude from this that my wife, Valerie, is merely “the mother of Timmy’s body.” She is Timmy’s mother… period. This is so because she did not give birth to a body. She gave birth to a human person who is a body/soul composite… Timmy. Analogously, though Mary did not provide Jesus with either his divine nature or his immortal human soul, she is still his mother because she did not give birth to a body, a soul, a nature, or even two natures—she gave birth to a person. And that one person is God. The conclusion to the whole matter is inescapable. Just as many of the more traditional Protestants would confess with us as Catholics: If Jesus Christ is one, eternal and unchangeable divine person—God—and Mary is his mother—then Mary is the Mother of that one, eternal and unchangeable person—God. If you are interested in diving deeper into this and more about Mary, the Mother of God, click here for much more!